The Yacht-Master's bidirectional rotatable 60-minute graduated bezel is made of Cerachrom insert in black ceramic, 18 kt yellow gold or 950 platinum. 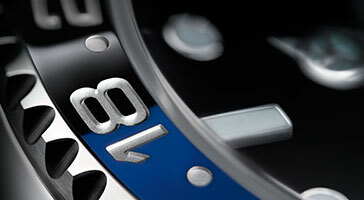 The raised polished numerals and graduations stand out clearly against a matt, sand-blasted background. This functional bezel - which allows the wearer to calculate, for example, the sailing time between two buoys - is also a key component in the model's distinctive visual identity. The Yacht-Master's new Oysterflex bracelet, developed and patented by Rolex, offers an attractive alternative to metal bracelets. The bracelet attaches to the watch case and the Oysterlock safety clasp by a flexible titanium and nickel alloy metal blade. The blade is over moulded with high-performance black elastomer, which is particularly resistant to environmental effects and very durable. For enhanced comfort, the inside of the Oysterflex bracelet is equipped with a patented longitudinal cushion system that stabilizes the watch on the wrist, and fitted with an 18 kt Everose gold Oysterlock safety clasp that prevents accidental opening. The Yacht-Master 42 is equipped with caliber 3235, a new-generation movement entirely developed and manufactured by Rolex. 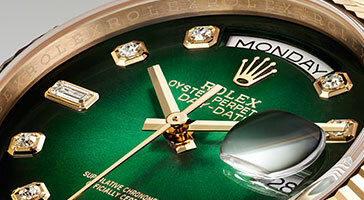 A consummate demonstration of Rolex technology, at the forefront of the art of watchmaking, this self-winding mechanical movement led to the filing of several patents, and offers fundamental gains in terms of precision, power reserve, resistance to shocks and magnetic fields, convenience and reliability. This caliber equips a Yacht-Master watch for the first time. The Yacht-Master II is designed to meet the needs of professional sailors. This regatta chronograph features the world's first programmable countdown with a mechanical memory. It provides precise synchronization with the crucial starting sequence of a yacht race. The design of the Yacht-Master II is inspired by Maxi yachts, those masters of the seas that marry technology, elegance and performance. Its lines are fluid and functional. The pushers suggest racing yacht winches. 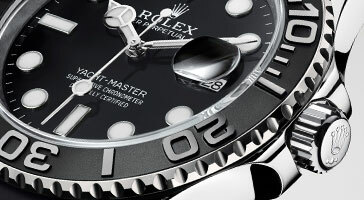 On the bezel, the name of the Yacht-Master II is displayed like the name of a boat on the hull. 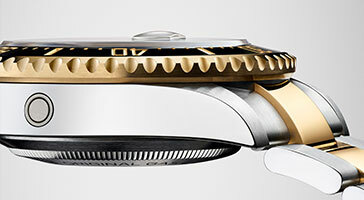 The rotatable Ring Command bezel, with its function of setting the regatta countdown, is reminiscent of a yacht's wheel. As in any contest of speed, precision is of the essence in a regatta. The Yacht-Master II features an unprecedented mechanical function: a countdown that can be programmed from 1 to 10 minutes and allows skippers to precisely time and follow each race's official starting procedure. This flexibility is one of the major assets of the Yacht-Master II; its development was a considerable technological challenge. 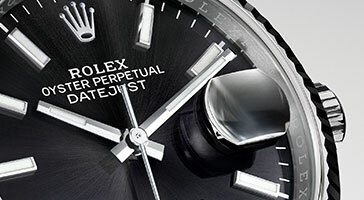 Rolex engineers devoted 35,000 hours to developing this complication. The programming can be mechanically memorised. Furthermore, once the watch's countdown is launched, it can be synchronized with the official race countdown.